Kurt Knappe was born on 2 June 1918 at Berlin. On completion of fighter pilot training in spring 1941, Knappe was posted to JG 51. Gefreiter Knappe was assigned to 5./JG 51.Knappe participated in the invasion of Russia and gained his first victory on 24 July 1941. By the end of the year his victory total had risen to nine. Unteroffizier Knappe gained his 50th and 51st victories on 4 October 1942 and was awarded the Deutches Kreuz in Gold.  He was awarded the Ritterkreuz on 3 November 1942. Knappe was then transferred to 7./JG 2 at the end of November 1942 to undertake Reichverteidigung duties. 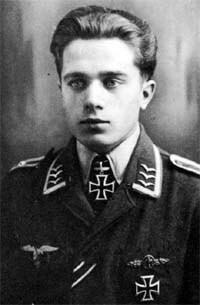 On 20 April, he transferred to 10./JG 2 where he gained his final victories. On 3 September 1943, Knappe was shot down and killed in combat with USAAF B-17 four-engine bombers and escorting P-47 fighters over Evreux, France in Fw 190 A-6 (W.Nr. 470 016). Kurt Knappe was credited with 56 victories. He recorded 51 victories over the Eastern front. Of the five victories recorded over the Western front, four were four-engine heavy bombers.